of the 2019 Walk and 5k Run for Life? We invite you to join us in this great family event where nearly 1,000 people attended and raise funds to save lives with the Pregnancy Clinic Ministry. The Pregnancy Clinic is a faith-based, medical non-profit, caring for women in unexpected pregnancies, offering a comprehensive range of totally free services including pregnancy testing and counseling, 3D/4D Ultrasound, resources, referrals and Life Sense educational classes. Since opening our doors in 1982, our offices in Annapolis, Bowie, and Severna Park have served serve more than 26,000 women in helping them make positive, life-affirming decisions. We receive no federal funding and are entirely supported by the generosity of individuals, churches and businesses. As a 501 (c) 3 non-profit, all gifts and donations are tax deductible. There are different Corporate levels to choose from – please see the enclosed Sponsorship Form. We would also be happy to customize a sponsorship to suit your needs. We hope you will consider being a Corporate Sponsor or Prize Donor, and partner with us to change hearts and save lives. Contact Sharon at 410.431.5000 or patten.s@pregnancyclinic.org. Acknowledged in the Pregnancy Clinic’s bi-annual newsletter with a distribution of 4,500. 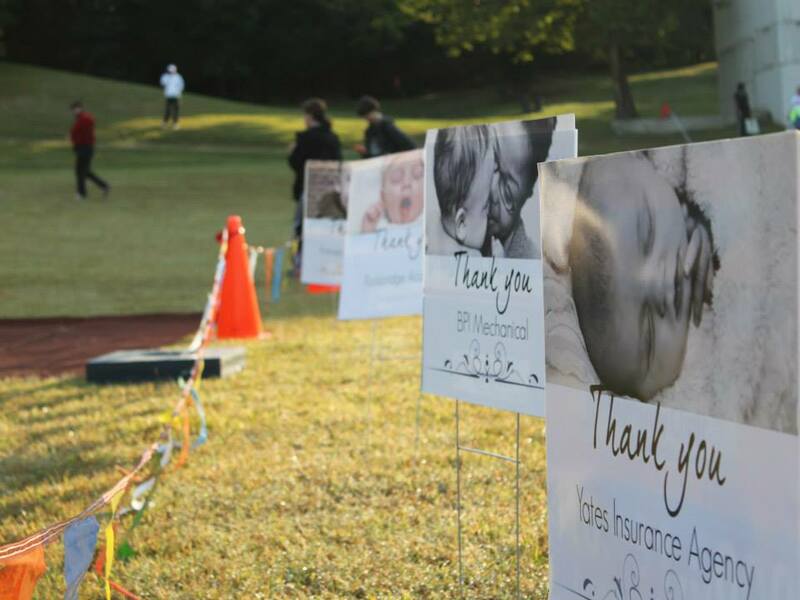 Thank you for making a difference for Life by supporting the 2019 Walk and Run for Life! Corporate Sponsors will be contacted by our Walk and 5k Run for Life Coordinator to ensure that we have your information correct and that you receive all of the Sponsorship benefits . You can also mail your corporate sponsor check or prize donation to Pregnancy Clinic 650 Ritchie Hwy, Suite 307 Severna Park MD 21146. Make checks payable to Pregnancy Clinic. Prize Donors– Mail your company gift cards or call to arrange for a pick-up before TBD. Donations must be received by September 1st to be properly promoted. Please contact Angela Murray with any questions, 410-431-5000 or email angela@pregnancyclinic.org. As a 501(c) 3 non-profit Corporation, all gifts and donations are tax deductible.